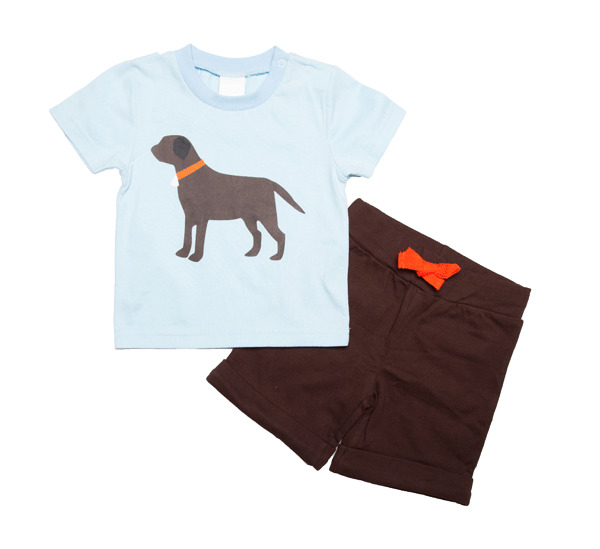 From Magnificent Baby, we love these comfortable boys brown fleece shorts with elastic waist and coordinating black lab puppy tee shirt. Great quality! Machine wash.